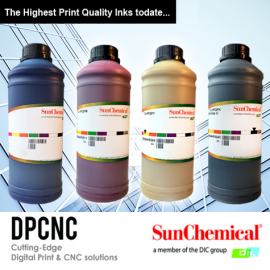 The Alternative Solvent inkjet Inks from Sun Chemical. 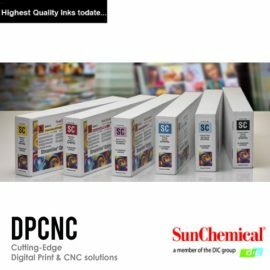 Streamline Ultima HPQ LO is an eco-solvent inkjet ink series formulated to match the colour, performance and quality of Mimaki’s SS21 version inks, used with Mimaki printers such as the JV33, JV150 and JV300. Ultima HPQ LO is fully intermixable with Mimaki SS21 inks, enabling the printer to utilize the existing original colour profiles. Simply insert our pre-filled 440 ml cartridge and continue to enjoy uncompromised quality with greater economy! Ultima HPQ LO features a full colour range and is available in pre-filled 440 ml cartridges or our popular 1 litre refill bottles for our Streamline EcoPro Ink Supply Units.